Director Blake Edwards, master of farce and the man behind the Pink Panther films, died from complications from pneumonia. 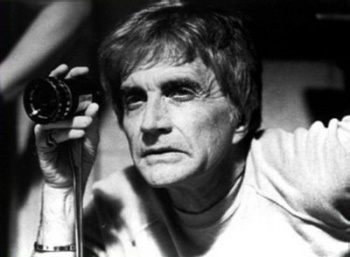 Director Blake Edwards had been hospitalized in Santa Monica, California for the past ten days, but finally succumbed to complications of pneumonia. He was 88 years old, and left behind a legacy of excellence in film. Edwards began his career as an actor, then wrote screenplays before hitting his stride as a director. His strength was in slapstick, but some of his dramatic work is just as highly regarded. Some of his most notable films include Breakfast at Tiffany's, Blind Date, Skin Deep, The Man Who Loved Women, and Days of Wine and Roses, in addition to eight Pink Panther films. His wife of 42 years, Julie Andrews (The Sound of Music, Mary Poppins), was by his side when he passed away. Edwards directed her in 10, S.O.B., and Victor/Victoria, which you should see if you haven't.